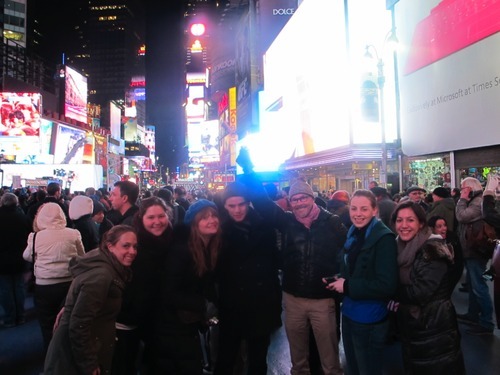 A group of BGC students (Ali Baldenebro,Andrew Goodhouse,Christine Griffiths,Sophie Pitman,Nicole Pulichene, Laura Speers, and Katie Tycz did a little “research” into the material culture of New York City on Election Night. Here they are in Times Square…..
…and they also made a stop at Rockefeller Center, for all the festivities. When Rockefeller Center was first built, it was thought that the Plaza might serve as something like a “town green”, a gathering place…and certainly it functioned like that on Tuesday evening. 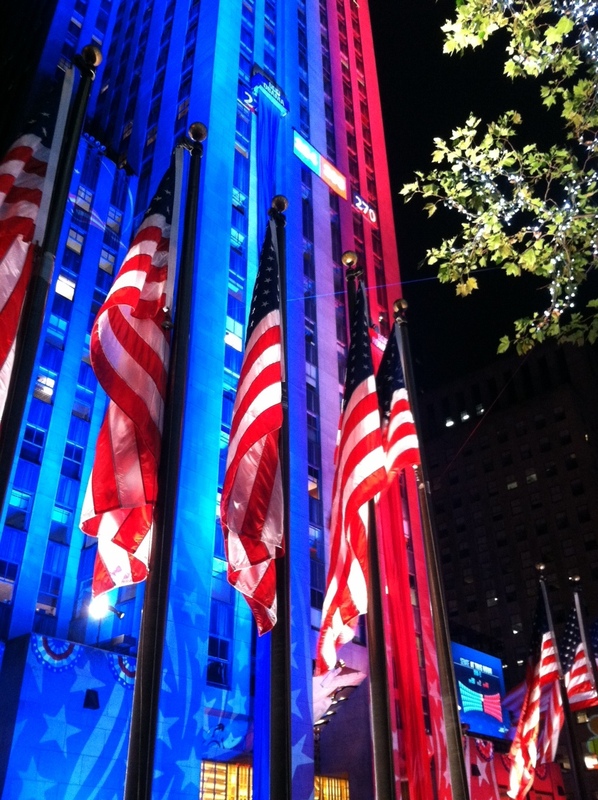 NBC turned it into ‘Democracy Plaza ‘ for NBC’s election night coverage.